Whether you are looking for call center jobs from home or in a brick-and-mortar office, these resources can help you locate job openings and then get the job. Inbound vs. outbound calls - Call center agents may take inbound or outbound calls or both. Typically, outbound calls are sales calls, while inbound may or may not be sales. Sales or non-sales jobs - Though often associated telemarketing, call center jobs do not necessarily involve sales. Jobs can be customer service, billing, reservations, quality assurance, surveys and technical support. Many jobs involve a little of both. For instance, a job that is mostly customer service may require or encourage that agents upsell certain products in the course of their interaction with customers. 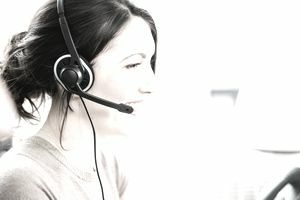 Home call centers vs. office jobs - While many people may prefer to work at home, home (or virtual) call center jobs are not nearly as plentiful as office jobs. Plus, not everyone has the office equipment required for home call centers or wants to invest in it. Some office-based call centers allow employees to transition to working at home after training. If you think you may want to work at home, though, read this Home Call Center FAQ. Independent contractor vs. employee positions - Companies hire call center agents as both independent contractors and as employees. Each has its advantages and disadvantages. Office based call centers are more likely to be employment positions, but a virtual call center might go either way. Read about the differences between self-employment and employment positions. Full- and part-time positions - Because call centers need a wide range of hours worked and have so many employees, many offer both full- and part-time schedules. These are some part-time home call center jobs. Outsourcing vs. in-house operations - Some companies (such as Home Shopping Network or GE Retail Finance) run their own call centers to support their core businesses. Other companies outsource call center operations to a BPO (such as Alpine Access or Convergys) that hires work at home agents. Agents at these “homeshoring” operations may work on a variety of clients and need a wide range of skills. Specialized call center work - Some call centers need workers with specialized skills. The most common skill required is being bilingual. Bilingual call center jobs often pay a little more. Other specialized skills that call centers might need are telehealth for nursing jobs or licensed agents for insurance jobs. High-level technical support can also be a specialized call center job, but much of the basic support jobs are done by agents who are trained in the technical skills by their companies. Also, call center agents may move into call center management positions. Call centers may pay an hourly wage or only pay for talk time. Talk time would include per-minute and per-call payment structures. Employment positions must at least pay minimum wage even if paying on a talk time structure. Independent contractor positions offer no such protections. For more on actual wages and the pay structures, read How Call Centers Pay. Each company’s requirements for agents will vary depending on the job and the company’s policies and business operations. However, agents usually need to be 18 or older and have a high school degree. (However, a few work-at-home companies, such as U-Haul will hire students as young as 16.) Some companies require very little beyond that while others have very specialized call center job requirements. For more specifics, read this article outlining call center job description and agent requirements. Even home call centers usually have location requirements, usually a certain state or country.